It’s almost here…come start off your week on a good note by coming to the People of a Feather film screening, Monday March 24th. 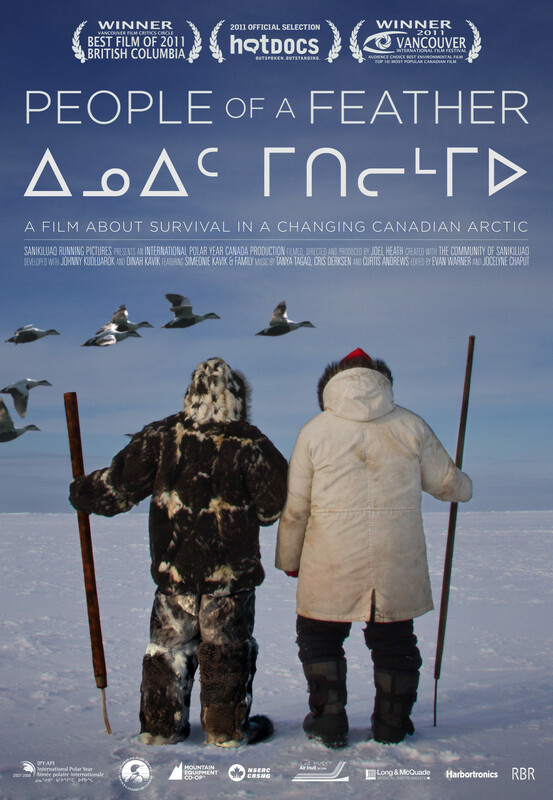 SCB-TO and the Department of Ecology and Evolutionary Biology at the University of Toronto are excited to host a film screening of the award winning Canadian film People of a Feather. Be prepared for incredible cinematography while the story unfolds about survival in the Arctic in a fast-paced changing world in this film by Joel Heath and the Community of Sanikiluag. Don’t miss out on this breath-taking opportunity. Location: 569 Spadina Crescent, room 108, University of Toronto St. George Campus. See map link below. Accessible venue. 10$ at the door, suggested donation. Proceeds will go to support the non-profit group Arctic Eider Society and cover screening costs. ← It’s a wrap and film screening this Monday!